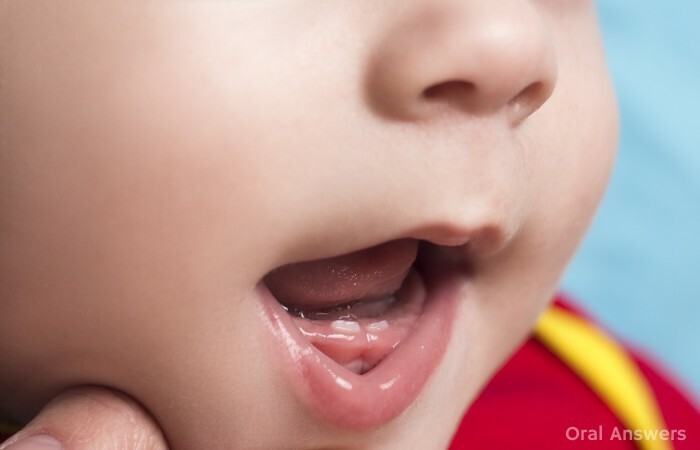 Home Pediatric Dentistry When Should Your Baby’s First Tooth Come In? My daughter is almost six months old, and today I am positive I saw a little white tooth poking out of her upper from gum. When I went back to look at it it was no longer there. did I do something to it when I went to touch it a few minutes earlier? Or did I see something else. I am worried! Hi Michelle – If you touch your baby’s gums, they can change to a lighter color since the pressure of your finger pushes some of the blood out of the way. If it’s not there any more, I wouldn’t worry too much. I’m sure she’ll be getting her tooth any time now! Keep us updated on what happens. hi, my name is yssai… my daughter is 9 months now but she doesn’t have teeth. Something wrong, or what should i do. Hi Yssai – I’ve heard of kids getting their first tooth shortly after their first birthday, I wouldn’t be worried about it yet – they’re probably just coming in a little behind schedule. Our son is 6 months old and absolutely miserable right now from teething. He has all the top symptoms plus a few more. Is there anything we can do to help relieve some pain? (We have tried teethers, orajel, tablets, infant Tylenol) And we can see large bumped areas on the bottom, but does this mean we are getting close? My 8mth old has 4 teeth now and her 2 front teeth have just started to cut through one more than the other. She fall and chipped her front tooth on a toy today, i feel so upset this has happened, especially on her front tooth and it isn’t even 100% out of the gum as yet. my sons bottom gums look like he will be cutting in pretty soon. he will be 6 months on sunday. does it mean hi will cut his first tooth pretty soon? My bubs is just 16 weeks and his bottom two teeth have popped up overnight. I have been saying for a month or so that he is teething and everyone told me i was crazy but yep mothers intuition!! my bby got hers at 4 months! 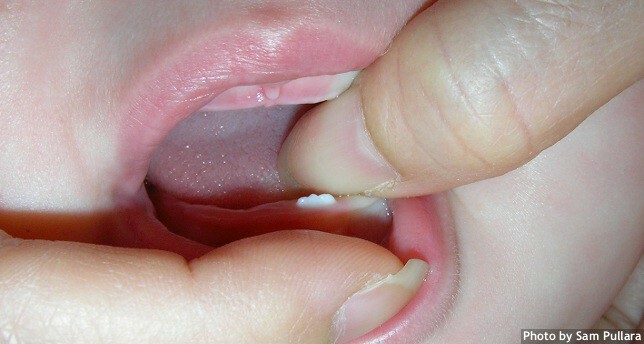 Please, is it normal or wrong for a baby to first develope upper teeth before lower teeths? my bby girl got her first tooth at 4 months ! Hi my son is 3 months as of Feb. 21st, and has been showing signs of teething since 2.5 months. Drooling irritability, gumming hands and fingers, swollen lower gums on the left side, trouble sleeping. I am sure we will see a tooth there in a few weeks. My daughter is 16 months and hasn’t cut her first tooth yet. Is this a cause for concern?